Today Coker College opened its new Center for Health & Wellness, providing Coker students, employees and their families convenient access to healthcare professionals, select over-the-counter medications, first aid, immunizations, labwork, and mental health counselors. The Center for Health & Wellness, located at 212 South 2nd Street, Suite 212 (behind the DeLoach Center, across from athletic fields) is staffed and serviced by a partnership between Coker and two regional providers––Carolina Pines Regional Medical Center and Palmetto Counseling. The Center’s healthcare clinic works in tandem with Carolina Pines Regional Medical Center, with a Carolina Pines nurse practitioner on staff to provide medical exams and prescriptions. A registered nurse is also available for consultations and basic first aid. These medical services are open to Coker students, as well as college employees and their families. 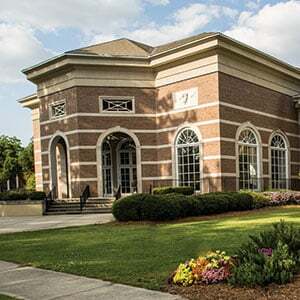 In partnership with Palmetto Counseling, Coker’s Center for Health & Wellness also provides students with access to licensed mental health professionals. Counselors can assist with problems or needs of almost any nature. Students are especially encouraged to contact the Center with common problems like adjustment difficulties, stress management, depression, anxiety, mood and sleep disturbances or inability to concentrate, as well as more urgent needs. Coker College students, employees, and their families can find out more about the Center for Health & Wellness here.